Now in its 98th season, The Weston Silver Band (WSB) traces its continuous history back to 1921, when it was created as the Weston Boys’ Band by George Sainsbury. Under the baton of Music Director Larry Shields, the bands membership is made up of accomplished brass players from the GTA and surrounding areas. Three-time North American Brass Band Champions, the WSB returned to competition in 2014 at the North American Brass Band Championships after an 18 year hiatus, and is the first and only Canadian Brass Band to win section titles at the contest. Weston won first place honours in the 2nd section in 2014. Moving up to First Section in 2015, the WSB repeated their top prize winning result. Following a 2nd place finish in 2016, the WSB placed first at The Championships in March 2017 and second in April 2018. Five time winners of the Hannaford Cup, an annual Award of Excellence at Toronto’s Festival of Brass, as well as Best Soloist awards for members Brad Norton, cornet (2011) and Robert Miller, euphonium (2013) and Matthew Ross, flugelhorn (2015), the WSB has recently gained international recognition as a performing ensemble. . The WSB became the first Canadian Brass Band invited to perform at the US Open Brass Band Championships, in Chicago, Illinois with a third place podium finish in 2009 and a US Open Best Soloist win for WSB Euphonium virtuoso Robert Miller in 2010. In June 2017, Weston Silver Band appeared in one of the preeminent arts festivals in North America, Luminato Festival, in the stage production of En avant, marche! , a performance praised by the Toronto Star as “poignant (and) captivating” and “spine-tingling” by The Globe & Mail. Through excellent artistic and educational performances for musicians and communities, the WSB actively seeks to promote the brass band tradition as an important part of the cultural heritage of the Province of Ontario as well as a dynamic and unique voice for contemporary composers and arrangers. Larry Shields began his musical training in the Salvation Army York Temple, and played bass trombone in Weston Silver Band until 1992. He is an honours graduate of Humber College in Music Performance. 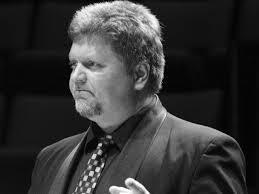 In addition to Weston, Larry is the Jazz Director of the National Music Camp of Canada. A busy freelance musician, he is Head of Music at Del La Salle College, an independent school in Toronto. 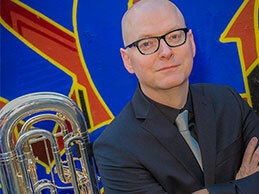 Robert Miller has established himself as one of Canada’s leading euphonium soloists. 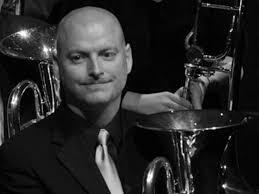 Currently, he is Principal Euphonium of the Weston Silver Band, Hannaford Street Silver Band and the Mississauga Temple Band; and has instructed euphonium as a member of the University of Toronto Faculty since 2007. 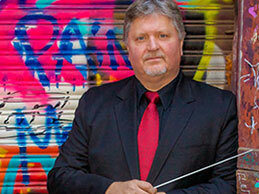 He is a Yamaha Performing Artist and Clinician, and plays the Yamaha Neo YEP-642 TS exclusively.